A powerful oil-absorbingm healing and regenerating mask containing antiseptic Rosemary, Thyme and Lavender Essential Oils. The oils work to synergistically rebalance and purify your skin, leaving you feeling rejuvenated. Ideal for sallow, combination and teenage skins prone to spots and congestion. Lovely face mask, makes my oily, spot-prone skin glow after a 15-minute application. Bit pricey but it goes a long way, even when using it once a week as I try to! 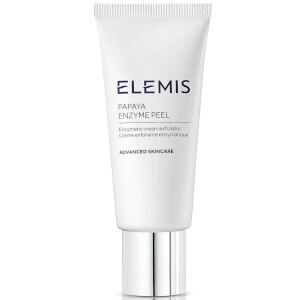 Love this elemis product. It make you look young and fresh! Some thing we all want. I use this at lest once a week, when my skin feels dull, i use a face scrub put this on for 20 mins and my skin feel great. Great to use when you get a break out to, you can put it on the spots over night and they are pretty much gone in the morning. So go my 16 year old step daughter keeps using it so i got her one!!!!! This was the first Elemis product I ever bought 3-4 years ago and I have bought it many times ever since. It has a very luxurious creamy consistency, smells wonderfully herbal and relaxing, helps clear up spots and leaves skin looking more clear and alive. I have sensitive skin and sometimes it can sting a little whwn I put it on, but only for a while and it doesn´t leave my skin irritated after I remove it. I prefer to use this after Elemis gentle rose exfoliator and as with all Elemis masks (except maybe the tri-enzyme mask) I always leave it on longer than it says on the tube, but not longer than an hour, since I find It then wrinkles my face (because of the clay drying out).